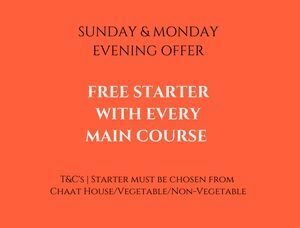 (*starter must be chosen from the following sections Chaat House | Vegetable | Non-Vegetable). 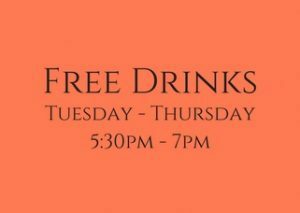 Buy any 2 main courses and receive 2 FREE drinks! 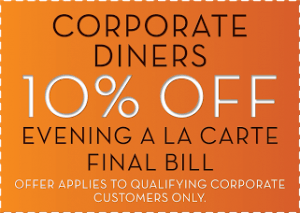 Corporate diners receive 10% off the À la Carte Menu in the evening at Roshni’s. 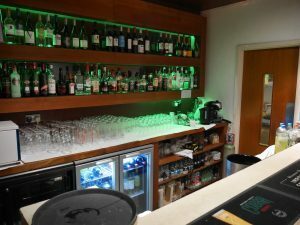 Simply spend over £100 and receive a FREE bottle of Prosecco worth £21.50 next time you dine. Remember keep this receipt to claim the offer.